One of the earthmoving contractors Bright area and the North East region of Victoria is Mansfield Plant Hire. 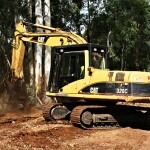 It is the leading provider for various services – excavator hire, tree stump removal, dam construction and digger hire. They provide one stop solution for services and equipment hire. 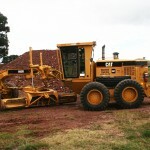 Mansfield Plant hire has specialized in civil infrastructure construction in the Victoria region. Mansfield Plant Hire is proud to announce that their staff are experienced and professionals in their field of specialization. The company has a continuing education program for their staff to keep them abreast with the latest development in technology. They are also updated on legislative controls so clients are assured that they are following current legal processes and regulations. Any excavation or construction work involves risks for the workers and the environment. Mansfield Plant Hire sees to it that everything must be safe. Workers and clients are required to wear safety shoes and helmets at all times when at the project site. When doing tree stump removal or earthmoving, environmental implications are always considered. They see to it that removals do not disturb the natural surroundings. Excavations are done precisely as required. Since they also have excavator hire or digger hire, the clients are assured that the equipment is in good operational condition. Repairs and maintenance are conducted regularly to have optimum performance. Clients can have a wet or dry hire for such equipment. All Mansfield Plant Hire equipment has the necessary attachments and accessories to get any excavation or construction job done fast and efficiently. For any earthmoving contractor Bright area requirements, Mansfield Plant Hire is the best provider that can be tapped to do the work.